Located in the San Fernando Valley, the Integral Group Los Angeles design studio is situated in the twenty-story, ENERGY STAR-rated, Class A, high-rise Encino Gateway building. The open office plan studio has gorgeous sweeping views of the Santa Susana and San Gabriel Mountains to the north and northeast. This office offers multiple meeting spaces and a lounge where staff can enjoy their lunch, refresh and take in the view. The office gets ample natural light and dogs are welcome. The Los Angeles office has been certified with the Los Angeles Green Business program since November 2015. Andy is Managing Principal at Integral Group’s Los Angeles Office, and has more than 17 years of sustainable consulting engineering experience. His expertise in sustainable architecture and green buildings includes building designs for passive, low energy systems such as natural and mixed-mode ventilation, displacement ventilation, radiant heating and cooling, and building integrated renewable energy systems. Some of Andy’s notable high performance projects include the UCLA Pauley Pavilion (LEED Gold), UC Berkeley Student Community Center (LEED Gold), Long Beach Airport Terminals (LEED Certified Level), Soka University Performing Arts Center (LEED Gold), LAX Bradley International Terminal (LEED Silver) and Jefferson Creative Offices Re-Use (LEED CS). Andy, who has a BSME from University of California, Davis, is a licensed professional engineer. Additionally, he is a certified ASHRAE High Performance Building Design Professional. 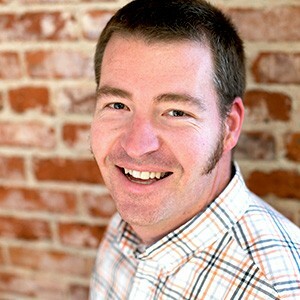 Andy is the ASHRAE SoCal Chapter President and is active in USGBC-LA and the Living Building Collaborative. John joins Integral Group with over 30 years of experience in team and project management for multidisciplinary projects. His mechanical engineering experience encompasses higher education, K-12, sports and recreation, cultural and performing arts, and civic facilities. With a mechanical engineering background originating from fixing antique steam engines during his college years, John grew into project management of largescale projects in the United Kingdom and the United States, working for world-class architects including Richard Rogers, Rem Koolhaas, Diller, Scifido Renfro, Morphosis and Richard Meier & Partners. John thrives working on innovative projects that challenge him, and he constantly strives to find the right solution for his client and delivering an excellent final product. He believes that designing sustainable projects is the right thing to do and results in the best buildings.